It might not happen often, but on 27 February 2016 you will be GLOWING after you participate in the city's brightest 5km fun run. Glowing that is, due to the amount of non-toxic neon paint and ILLUMI Glow Water splattered all over your being. 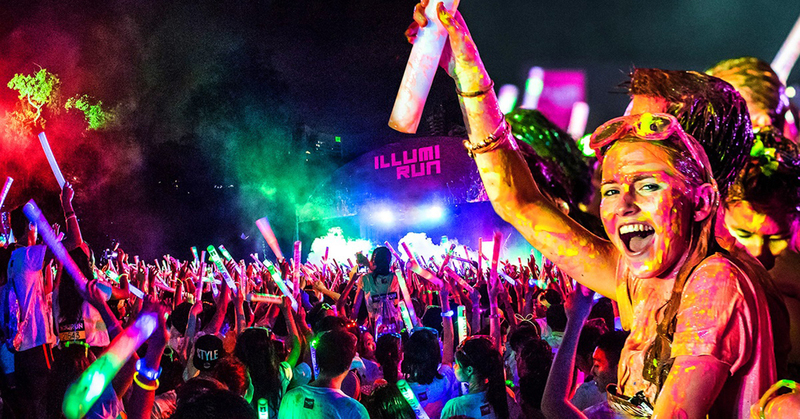 The ILLUMI RUN, nicknamed the 5km 'party on the run', takes you on an entertaining and very colourful adventure through the Yarra Park, home to Melbourne's iconic MCG. Don't be too concerned with timing, the ILLUMI RUN isn't a race per-say. 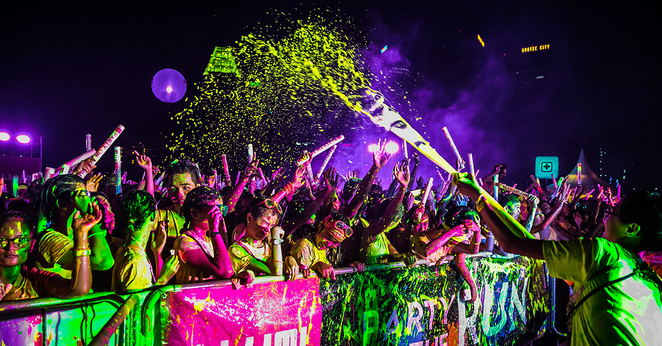 You can walk, run or dance your way around the course, and finish whenever you like. Along the way, enjoy glowing dance and entertainment zones with electrifying live music to get you pumped for a neon party. It isn't over when the course finishes, in fact this is when the illuminating night really gets going. A party isn't a party without music. The ILLUMI After Party gets things started with live DJs and dancers performing live on stage. Don't wear your best clothes because paint cannons will fire out over 50 litres of neon colours into the crowd at a time, splattering you and your friends in sync with the DJ'd sets. Fun! 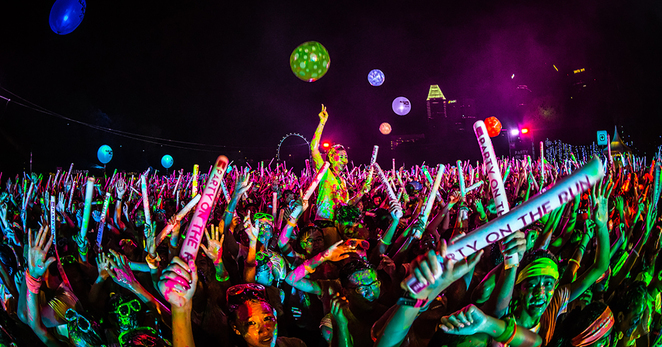 The Melbourne event follows successful ILLUMI RUNs in Singapore, where the concept started in 2013, followed by illuminating runs in Brisbane and the Gold Coast. After Melbourne, ILLUMI RUN will return to Brisbane Showgrounds, Bowen Hills and then launch in Sydney on 23 April 2016 at Canterbury Park. Your registration for ILLUMI RUN Melbourne will include a swag bag, in which you will find more goodies to enjoy the event with; an ILLUMI RUN t-shirt, LED glasses, an LED foam stick and lots of sponsors' gifts. The ILLUMI RUN Melbourne event is open to all runners aged 10 years and up. Be aware that children must be accompanied by a parent or guardian. Buy your tickets to ILLUMI RUN now. Early bird tickets are $54 per person, or $45 for groups of 4 people. General tickets are $60 per person or $50 per person for groups 4. Register and buy your tickets HERE. What an amazing spectacke this would be but I'll leave the participation to the young ones.